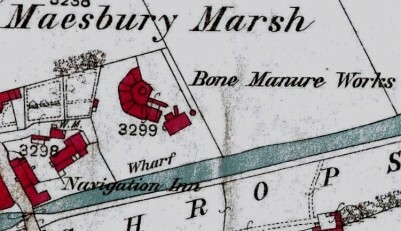 The Maesbury Bone Works, or Artificial Manure Works was situated in the village of Maesbury Marsh, on the side of the Montgomery Canal, behind the Navigation Inn. The site had been used for a number of years in the early 1800's, as a Smelting Works. The "Shrewsbury Chronicle" on 27th October 1837 advertised 'For Sale or let by auction on 15th November' a Lead Smelting Works at Maesbury which the advert explained had a new design of flue which would cause no nuisance to locals. It went on to mention that lead and coal was raised locally. 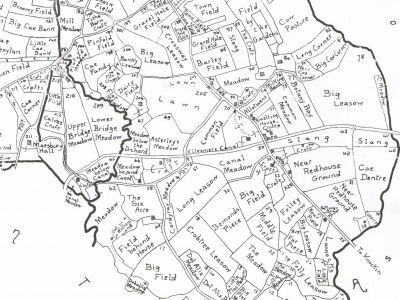 It had good canal and turnpike connections, that there were six furnaces, one of which was complete, a dwelling and workshop and another dwelling to be completed. The factory was established in the 1860's on the site of a former lead smelting works by Edward Richards, a native of Meifod in Montgomeryshire, who had lived in Liverpool, where his two sons, David and Robert were born. David became an analytical chemist and both boys worked in the business at Maesbury. Fertilizer and glue were produced needing a good supply of horse and cow hooves and when boiled up, gelatine for glue was extracted while the bones were crushed up for fertiliser. The site is still in existence, a two storey brick building with a tiled roof and a round chimney. A larger chimney, 46m high and 7.5m in diameter was demolished in 1892 after the business moved to Rednal Canal Wharf, where manufacturing continued until the 1950's. The Canal & River Trust recently commissioned an archaealogical dig around the site of the smelting house and the report is eagerly awaited. 1839 Tithe Map showing the Smelting Works on the side of the canal. 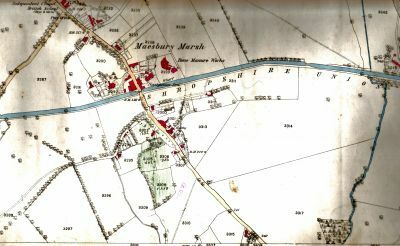 1875 map showing the position of the Bone manure works in the village of Maesbury Marsh..
Blow-up of the bone manure works on the 1875 map prior to the demolition of the main building and larger chimney (Above the 3299 reference). The smaller building to the right is all that is left today...Note the smaller chimney to the right of this building. 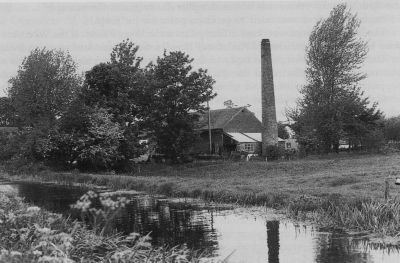 The former bone works on the side of the Montgomery canal at Maesbury Photo taken from the south bank of the canal, date unknown. 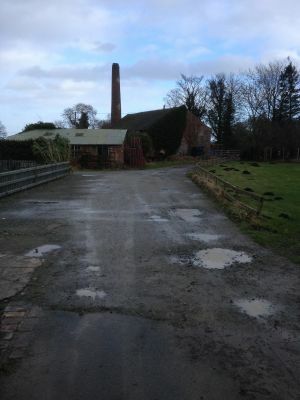 Photo of the Maesbury bone works today (Feb 2014).